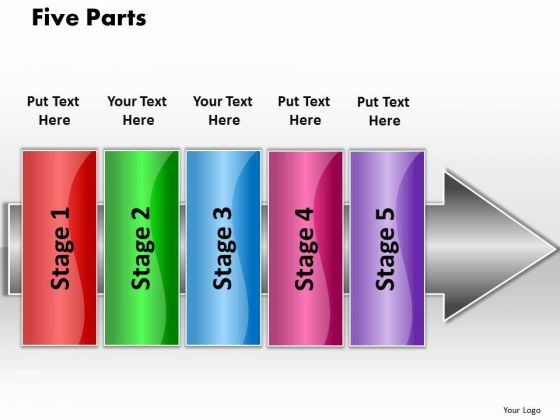 PPT linear flow 5 parts PowerPoint Templates-The above Diagram contains a graphic of Pointing Arrow containing stages. This image signifies the concept of different stages of a process. Adjust the above image in your PPT presentations to visually support your content in your Business, Process and Financial PPT slideshows. Add charm and personality to your presentations with this colorful PowerPoint Diagram. you can easily edit the size, position and text and change the colors as per your need.-PPT linear flow 5 parts PowerPoint Templates-Abstract, Arrow, Blank, Business, Chart, Circular, Circulation, Concepts, Conceptual, Design, Diagram, Executive, Icon, Idea, Illustration, Management, Model, Numbers, Organization, Procedure, Process, Progression, Points, Five Parts, Resource, Sequence, Sequential, Stages, Steps, Strategy Feuds can happen at the workplace. Settle them amicably with our Ppt Linear Flow 5 Parts PowerPoint Templates. Disarm your audience with our Ppt Linear Flow 5 Parts PowerPoint Templates. You will come out on top.